Landon Cassill #00 Permatex Chevy Camaro-The shades of orange and blue work well, but I think that there are too many white stripes. It’s not that bad, but they do take an A scheme to an A-. Chase Elliott #9 Hooters Chevy Camaro-Cleaning up the sides does help a bit, but it’s still a mediocre scheme. Still, it is an improvement, so I’ll give it a B. Chase Elliott #9 Kelly Blue Book Chevy Camaro-Another example of a new scheme not improving, but also not making it worse. This scheme is getting the same B- that last year’s scheme did. 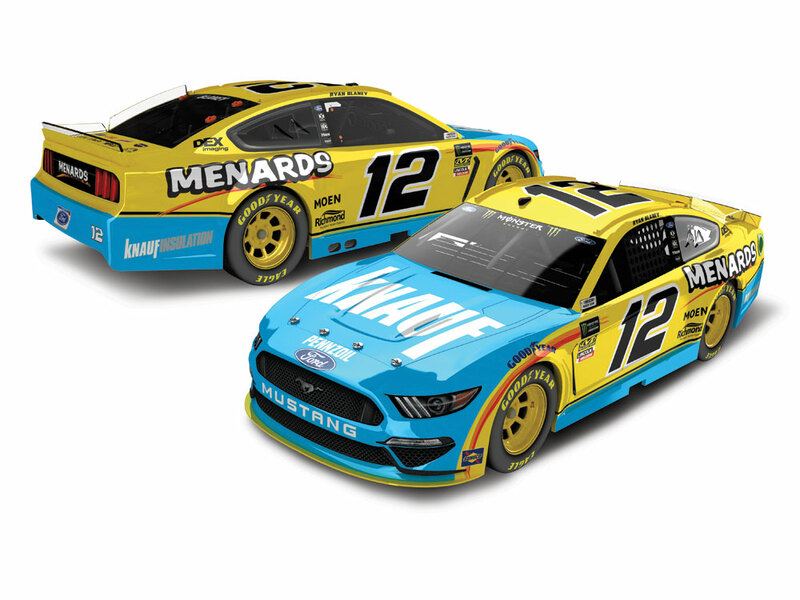 Ryan Blaney #12 Menard’s/Knauf Ford Mustang-Last year’s Menard’s template was great. If this is the new Menard’s template, I’m not impressed. The blue front, and stripes are a downgrade. That said, it’s still a decent scheme, so I’ll give it a B+. Kyle Busch #18 M&M’s Chocolate Bar Toyota Camry-The chocolate bar motif could work, but this is just too cluttered to be great. It’s a decent scheme though, so I’ll give it a B-. Martin Truex Jr. #19 Auto Owner’s Insurance Toyota Camry-I could get behind the cutting edge look, and I could get behind the plain black look, if they were separate. Together, this scheme looks like two different people designed one half of the car. These schemes NEVER look great. It’s not terrible, so I’ll give it a B+, all things considered. 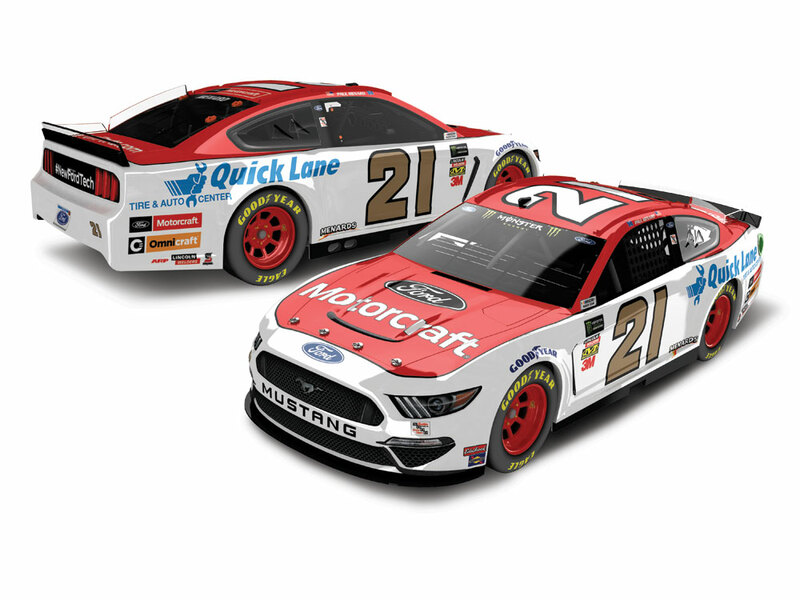 Paul Menard #21 Motorcraft Ford Mustang-Same scheme as last year, same A grade. Joey Logano #22 Pennzoil Ford Mustang-Same scheme as last year, same A grade. Ryan Truex #71 Accell Construction Chevy Camaro-Same scheme as 2017, same A grade.